The Cavalier Cowboys held their monthly 1st Sunday match today, May 7th, at the Cavalier Rifle & Pistol Club. Good match, good weather, good grub and good shooting with Cold Blue Mike again, what else do you need. Our Clean All Day Shooters were Sassy Shooting Sours and Prairie City Slim. The scores from ACES are attached in PDF format. 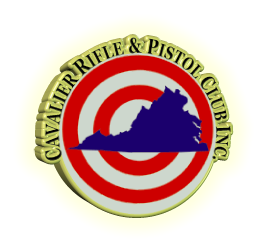 The Cavalier Cowboys will be holding their monthly 1st Sunday match on Sunday, May 7th, 2017 at the Cavalier Rifle & Pistol Club. The stages have been written by myself and are attached in MS Word and PDF formats. After the match we will be holding our usual Cowboy Social and everyone is invited to join us. 1st Sunday Matches – For our Sunday Matches the match begins at 10:00am, the gates will be open from 8:00am till 9:30am, registration will run from 8:30 until 9:30 and the mandatory safety meeting will be at 9:45am. The Cavalier Cowboys held their 3rd annual “Gunfight at the Double-C” this past weekend and we had one heck of a good time shooting with our cowboy family!!! On behalf of our Match Director, Major BS Walker, myself and all of the Cavalier Cowboys we want to thank all the cowboys and cowgirls who supported us this weekend, seeing all of you shooting, having fun, and enjoying the cowboy fellowship makes all the hard work worth while. Congratulations to all the match winners!!!! The scores from ACES are attached in PDF format. There is an overall listing, clean shoot listing, category listing and I included a copy of the shooters handbook.